Back to Moon Sign Compatibility List. Cancer Moon with Pisces Moon is a very compatible match between two people who are both very sensitive and sentimental. They share many similar traits, and their emotional needs are also similar. They are both very in tune to others feelings and needs. Both needs a peaceful environment where they can withdraw with their feelings and focus on their dreams, emotions, and thoughts. They both enjoy a stable family home. Sometimes this union becomes too dreamy, and they need to come back to planet earth to accomplish more earthly pursuits. Music, meditations, spiritual retreats, and connecting with nature are the favorite pursuits of this couple. In love and romance, it is the couple’s moon signs that determine how well they will get on and if they will get their emotional needs met. In the list below, you can find out what the Moon sign compatibility is for Moon in Cancer. 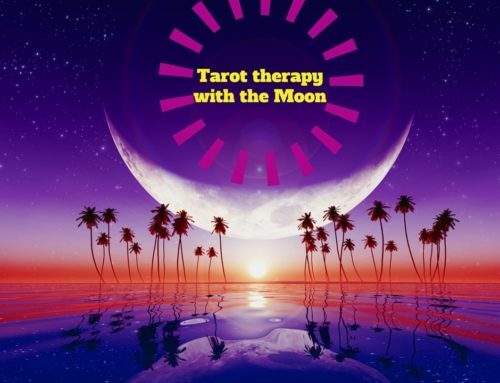 Cancer is connected to the Chariot tarot card. Learn about what the Chariot mean in a tarot love reading here. Moon in Cancer denotes a sensitive and home loving person. Cancer Moon can denote someone who is very sentimental and family-oriented. If someone hurt them, they can hold on to grudges as they believe this will keep them safe. Cancer Moon has a hard shell, but underneath is a sensitive and kind person who often worries a lot about their family and loved ones. They are very supportive of the people they care about and their love runs deep. Cancer Moon with Aries Moon can create a difficult union unless Aries Moon can learn to be more sensitive to Cancer Moon’s feelings. There is often a physical attraction present, but they tend to want different things in the long run. Cancer Moon can be hurt by Cancer Aries independent nature. Cancer Moon with Taurus Moon is a union between two security minded people. They ultimately want the same things out of life, even though they might go about getting it in different ways. Cancer Moon wants emotional security more perhaps than Taurus Moon does, however, Taurus Moon seems to push Cancer Moon in the right direction of obtaining an emotional safe haven by being dependable and predictable. Once Taurus Moon has obtained their material home base security platform and Cancer Moon has reached their sensitive and emotional well-being peak, this union might be lacking in excitement. Cancer Moon might begin to doubt how safe they actually feel, unless, they have someone or something they can care for, such as children and animals. Cancer Moon needs to be needed, and they need to care and nurture their home. If things are going too well, what is there left to care for? This can create some friction. A renovation project could solve this hiccup. Cancer Moon with Gemini Moon is a union that often displays the highs and lows of a human relationship, and it can leave the two parties completely drained, bitter, and exhausted by each other’s company. When it is good it is perfect, but when it is bad, it is a very lonely experience. This union tends to have a variety of misunderstandings due to miscommunication, and it will take the two parts a long time to recognise and accept the differences in the other person, and knowing how to handle them. Cancer Moon tends to hold on to grudges and they are often very sentimental people, quite the opposite to Gemini Moon who denotes someone detached and more cerebral. Gemini Moon can become uncomfortable with Cancer Moon’s display of emotions. While Cancer Moon loves family and all things domestic, Gemini Moon enjoys the freedom and often feels restless and bored. Cancer Moon with Cancer Moon indicates a union between two people who have instant report between them. They easily understand the other person’s sensitivities, needs, and insecurities. They are able to give more of themselves as they feel safe with the other person, and they enjoy spending a lot of time together, often creating a beautiful home life. Both can be stubborn and with a hard shell, and when both parts insecurities are running high, both could be acting equally childish. Most of the time, Cancer Moon with Cancer Moon feel at home with each other and due to similar emotional needs, have a great chance of making this a lasting union. Cancer Moon with Leo Moon is a combination that can leave Cancer Moon to feel ignored and insecure. Leo Moon can be too self-absorbed to even recognise that there is another person in the relationship as Cancer Moon can become very quiet in this relationship. Cancer Moon is shy, soft, and much more private than Leo Moon who can end up walking all over Cancer Moon. Leo Moon wants recognition and applause and can get impatient with Cancer Moon’s mood swings and need for privacy. The strength of this relationship is that Leo Moon enjoys the support they receive from Cancer Moon, and Cancer Moon enjoys the protective and loyalness of Leo Moon. Cancer Moon with Virgo Moon is a very compatible union. Both are cautious and often conservative, as well as caring and supportive. Virgo Moon wants to help by being practical, while Cancer Moon is often more emotional and compassionate. They both love to be in a relationship, and they enjoy spending a lot of time together. Cancer Moon can teach Virgo Moon to be less critical and more self-loving, while Virgo Moon shows Cancer Moon how to be more loving through actions and devotions. Cancer Moon with Libra Moon are two people who want to please and accommodate, and they work hard to keep their partner happy. They care a lot about what others think of them, and they thrive on the approval of others. Problems arise when Cancer Moon acts more like a parent than a romantic partner to Libra Moon, who could be feeling very smothered by the experience. Libra Moon does not like to display too many emotions and can become uncomfortable with Cancer Moon’s mood swings. This relationship can become a lasting union when both parts make sure they keep the passion and romance alive, and when they trust each other with their true feelings and desires. Cancer Moon with Scorpio Moon is a very compatible match between two people who love on a deep level. This two can become very attached to each other. Cancer Moon is softer than Scorpio Moon, and Scorpio Moon can become the dominant one in this relationship. Cancer Moon can become very emotionally dependent on Scorpio Moon. Scorpio Moon is also dependent on Cancer Moon but does not like to show any vulnerabilities. Cancer Moon and Scorpio Moon is a union that has a strong chance of lasting, and Cancer Moon can be the one that gets to know Scorpio Moon better than any other Moon combinations. Cancer Moon with Sagittarius Moon is not exactly a match made in heaven as these two have very different emotional needs. They might share similar values, but the way they want to achieve them are very different. Sagittarius Moon can become very impatient with Cancer Moon’s mood swings and Cancer Moon often ends up feeling very insecure and ignored by Sagittarius Moon. This relationship can sometimes move quickly forward just to have it end just as quickly. Cancer Moon with Capricorn Moon can work out, but Cancer Moon can often feel that Capricorn Moon priorities work before the relationship. Capricorn Moon can very much benefit from Cancer Moon’s caring and nurturing abilities, as Capricorn Moon can be too emotional detached. Cancer Moon also benefits from Capricorn Moon’s strength and ability to provide, especially materially. Both can be very stubborn, and when they have arguments, it can take the couple days of not talking before it is resolved. Both are also equally stubborn to make sure the relationship lasts, and this relationship can blossom when they have a shared project, home, and/or child to care about together. Cancer Moon with Aquarius Moon is a union of two people with a different perspective and outlook on life, and they might communicate very differently. Cancer Moon is all about family, while Aquarius Moon often prioritises social problems, colleagues, friends, and charities before family, which can leave Cancer Moon feel left out. Cancer Moon is sentimental and often very attached to the past, while Aquarius Moon is looking into the future, wanting new experiences. Cancer Moon craves security while Aquarius Moon is craving individuality and freedom. On a positive, Cancer Moon can help Aquarius Moon get in touch with his/hers feelings, while Aquarius Moon can help Cancer Moon be more rebellious and gain a more objective perspective. Taylor Swift, Ruby Rose, Shakira, Keanu Reeves, Heath Ledger, Robert Pattinson, Gwen Stefani, Jimi Hendrix, Colin Farrell, Harrison Ford, Drew Barrymore, Janis Joplin, Miranda Kerr, Nicole Richie, Emilia Clarke, Emily Blunt, Kaley Cuoco.